Oak processionary moth (OPM) is a dangerous pest that poses a risk to human and animal health. The Forestry Commission recommends surveying of oaks in the greater London area. 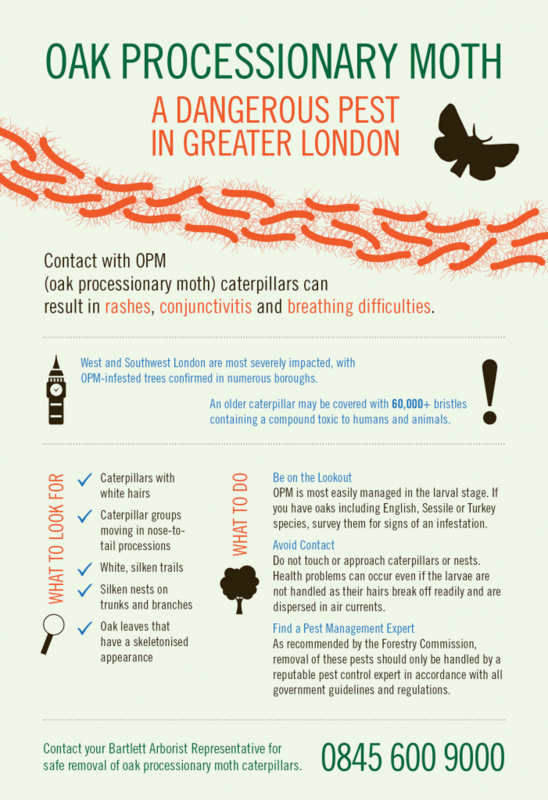 Contact with OPM caterpillars can result in rashes, conjunctivitis, and breathing difficulties. Learn more about oak processionary moth.